On the way there, Darling Daughter wanted to know why her cut finger was healing, even though there was no medicine in the Band-aid®. It was a good question – insightful really. Mommy gave her a medical answer about cleanliness, bacteria, and the work of the band-aid. But as they spoke, a thought came to my head. I realized that we are created to heal. People have been healing for centuries without the aid of triple antibiotic ointments. It’s in our DNA. That’s when the light came on to something I’d never thought of. If we are made to heal physically, why wouldn’t we be made to heal emotionally? For some reason, I’ve had this weird idea that if someone were to experience a horrendous tragedy, they would be emotionally scarred for life. Yet that doesn’t always seem to be the case. 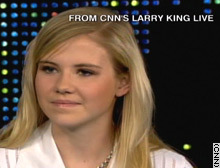 Take Elizabeth Smart, she went through what is quite possibly every parents worst nightmare – and beyond. Yet, from all apparent signs, she is healing well. Granted, she has had some excellent care, but nonetheless, she is healing. My own example tells the same kind of story. Born with disfiguring facial defects, multiple surgeries, a lifetime of being taunted, teased, and bullied, and then just when my life should be launching, I enter a terrible marriage and near life-ending divorce – all before the age of 23. And in the last 27 years, I’ve bounced back – stronger, more resilient, and standing on a much better foundation than ever before. I’ve heard it said that kids are resilient – they bounce back. It’s been hard to accept that though. I never want my children to experience the pain I’ve experienced. Yet, while I still believe it is my role to shelter them until they are ready to fledge, I realized today that life is filled with pain and my kids will experience some of that pain. But they will move through it. While I can still take preventive actions to avoid accidents and dangerous situations (e.g. Child safety locks, seat belts and car seats, be careful about who they associate with, etc), I realized today, for the first time, that we are built to be resilient. Emotionally, as well as physically. We’ll get hurt – that’s a given. It’s what we do about that injury that determines the depth of the scars. That is a great piece. The greatest thing about emotional healing is the ability to put “the injustice” totally behind us. A mistake I feel, is to expect us to forget. It is behind when it no longer makes us mad! A good example, is the jewish nation. They put the halocaust behind them but they can never afford to forget. I truely believe what doesn’t kill us makes us stronger. I recently watched the story of a group of haphazard “wannabe” arctic explorers that Bartlett left on an island and went fo help. There was a 3 yr old inuit child among them. After they had eaten everything, some of them had gone crazy, and they all thought they were going to die. This little kid would tell her father: “Don’t Daddy worry we are alive today aren’t we?” They interviewed her for the documentary. She was close to 100. A child can be very wise. Thanks KC. I’ve always believed for myself, that it isn’t what happens to us, it’s what we do from that point on. I read Laurence Gonzales’ book, Deep Survival, a few years ago – twice. In it, he talks about “Who lives, who dies, and why?” He really captures the essence of that little three year old girl. It’s a great read. Now, my task, is to teach/lead my children into this sort of holistic health. Good post. I agree that children are resilient and its something that we adults should learn from them.